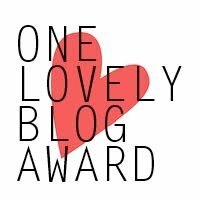 I was recently awarded the One Lovely Blog Award by Joyness Sparkles, one of my favorite blogs to read. I haven't had the chance yet to go through her other nominees, but seeing as how she's pretty amazing, I know she picked some wonderful bloggers. In order to accept the award, I must nominate 15 other blogs to receive it as well. This shouldn't be so difficult for me; but honestly, trying to only choose 15 out of so many wonderful people out there? 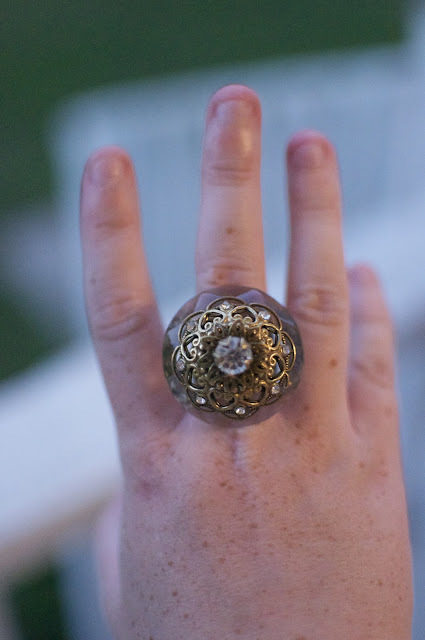 It took me a while to narrow it down, and I may actually still do a part 2 with other blogs nominated. Am I allowed to do that? Anyway, here are some fantastic women who definitely deserve the award. There are some absolutely wonderful ladies included in that group, so if you get the chance, peruse their sites and let them know I sent you. I'm also supposed to list seven things you don't know about me...seeing as how I have been writing new lists pretty frequently the past couple months, I'm almost out of options. You all know pretty much everything! But I'll give it a shot. 7. I was born partially deaf [or something]. However it happened, I ended up having surgery when I was five to replace my ear drums, and then had to undergo speech therapy to help me speak correctly. It was a huge change in my life, and now helps me appreciate even the most mundane noises. 6. If I could choose any profession in the world, I would be a cultural anthropologist. I love ancient religions, cultures, and practices! Unfortunately, there's no job opportunities for such a degree. 5. My husband and I have dubbed ourselves members of the KPP, or Krooked Pinky Pack. We have crooked pinkies, if you couldn't guess. 4. 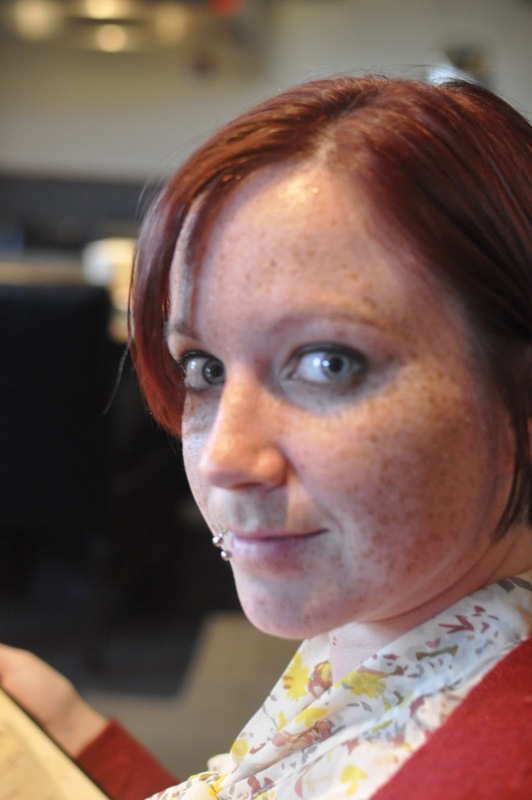 I love my freckles, and would never do anything to remove them, except for one; I have a particularly annoying dot on my eye lid that always makes it look as though my eyeliner is smudged. Stupid freckle. 3. I have bitten my nails as long as I can remember. Yes, it's disgusting and painful. No, I can't help it. 2. I can't play sports. At all. Period. I have no talents in that area. 1. In middle school, I played bass guitar for our jazz band. I was too small to hold the bass guitar up, so I had to sit on an amp and play that way during concerts. What a shortie. That's that! Hope you enjoyed, and if you were nominated I do hope you are willing to participate. Can't wait to see what you all come up with!!! Wow - congratulations and also thanks so much!! I am so pleased to be nominated!! I will post my nominations list asap. PS. I was picked as a prize winner on the Leap into Spring Photo Challenge! As you guest posted during that challenge and provided me with some lovely pics to enter into the finale I will let you know once I receive more about the prize details. It is a one year subscription to a photo editing/storage site called This Life, and it seems I can add a BFF to my package. Wanna be my photo BFF?! Exciting! Mine is up now! Crooked pinky? How fun! And you found your match...he has a crooked pinky too. I wonder if that is actually how it is supposed to be...find the person with the pinky that matches you....hmmm. you seriously made my week with this, english :) thanks for the support and encouragement! you're such a sweetie! !